Applying to grad school can sometimes feel like a maze where documents are requested, fees are paid, tests are taken, and essays are written, all without any seeming rhyme or reason. 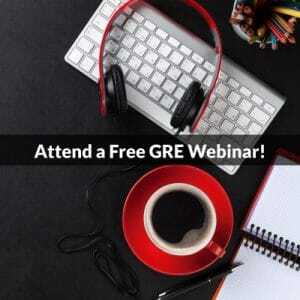 How can you make sense of it all, and be successful in your quest for admission to a graduate program? We’ll break it down, step by step, in weekly installments. This week, we’ll talk about timing, and the importance of starting the application process early. Although some of these components rely solely on you (the completion of the application form, the drafting of the statement of purpose, the writing of the résumé, and the taking of the tests), there are others (letter of recommendation and transcript requests) that rely on the timelines and timeliness of others–and that’s where snags can come in. Write multiple drafts of your statement. Writing an essay should be an involved process that take place over a few weeks, maybe even a month or two. You need to give yourself time to think about the topics you’d like to write about, brainstorm potential ideas, create outlines, and write multiple drafts. Even more, you should ideally give yourself at least a day (if not two or three) between each draft and revision, so that you can go back to your essays with fresh eyes every time. Writing an essay in a few hours or days might be tempting (after all, you want to get it out of the way), but it’s definitely not recommended. Give yourself time to craft a truly stellar statement–after all, it’s the one thing on the application that showcases your writing ability! Make sure it shines! Revise your résumé carefully. A graduate school résumé is not the same as an employment résumé. Different aspects need to be highlighted and showcased, and the whole résumé may need to be revamped. Giving yourself the time to carefully cull and format it will reap giant rewards in the long run–graduate schools often want to see where your areas of expertise are, and the résumé is the place to see that–a shoddily-crafted one will work against you. Go over your application with a fine-tooth comb. There are often additional questions and essays that need to be drafted. If you don’t read your application carefully, you may miss an opportunity to take advantage of an optional section, or make your application incomplete by failing to complete a required one. Study carefully for the GRE (and any other tests you may have to take). The higher you score on the GRE (and GMAT, and TOEFL) the better. Higher test scores mean greater chances of admission, and a higher caliber of school. It also sometimes means merit scholarships. 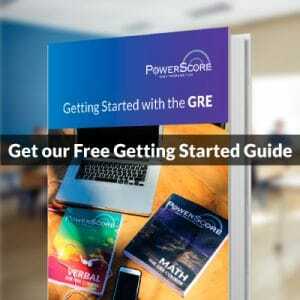 Ideally, you should give yourself at least two months (if not three) of steady studying for the GRE. Some students study longer. Give all post-secondary institutions you’ve attended time to send your transcripts. Getting colleges and universities to send in transcripts can be a time-consuming process. Not only do you need to submit the appropriate forms to them, they can take weeks to be processed and sent out. Transcripts often need to be send directly from one school to another, so you won’t even have the knowledge that it’s been sent unless you call both institutions periodically to check. Don’t miss an application deadline because you didn’t give schools enough time to get transcripts processed and mailed out! Give your recommenders plenty of time to write your letters (believe me, they’ll need it!). Recommendation letters, as simple as they may seem, can sometimes take months to wrangle from a recommender. Remember, writing your letter is not all they have to do–often, they are also teaching, researching, and writing, too. You letter may not even be on the list of top ten things they need to do (although you would want it to be!). You will need to not just ask them to write the letter, but also follow up as consistent intervals to make sure that it is both written and then sent. And then you’ll have to check with the school you’re applying to that they’ve received it (because, much like transcripts, letters need to come directly from the issuer). Assuming that this can be done in a few days is folly–recommendation letters can, at best, take weeks to complete; at worst, they can take months. Give yourself some wiggle room in case things go wrong. And things will go wrong. A recommender will back out. Transcripts will be lost in the mail. Your computer will crash and you’ll lose the statement you’d been working on. All of these things can happen. Give yourself time to start over without stressing. By starting early and planning ahead, you’ll make sure to put your best foot forward. And putting your best foot forward will increase your chances of admission to the schools of your choice.